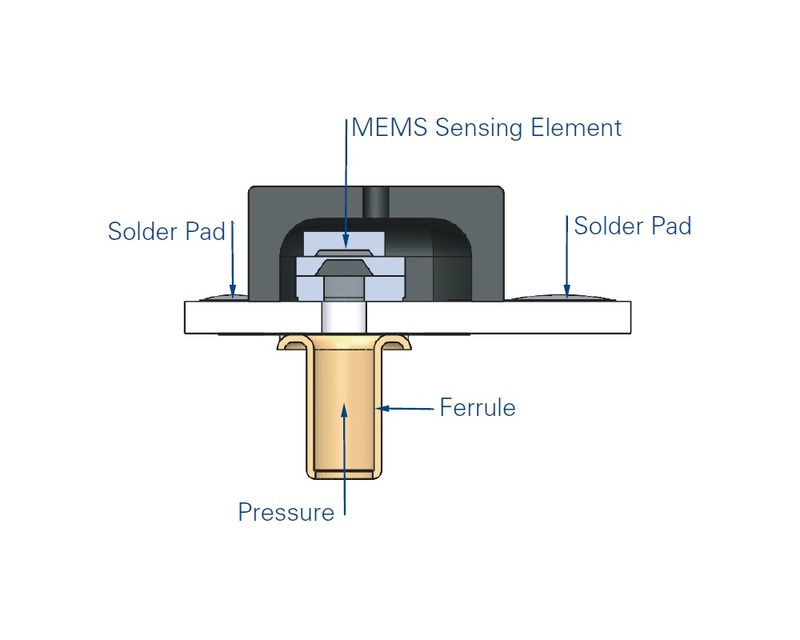 The RS uncompensated packaged pressure sensor series from Merit SensorTM is designed for applications of a wide range of pressures to the backside of the sensing element. With a pressure range from 0psi to 500psi with a full scale output of 75mV to 175mV (at 5V excitation) and either a backside gauge or backside absolute pressure type. 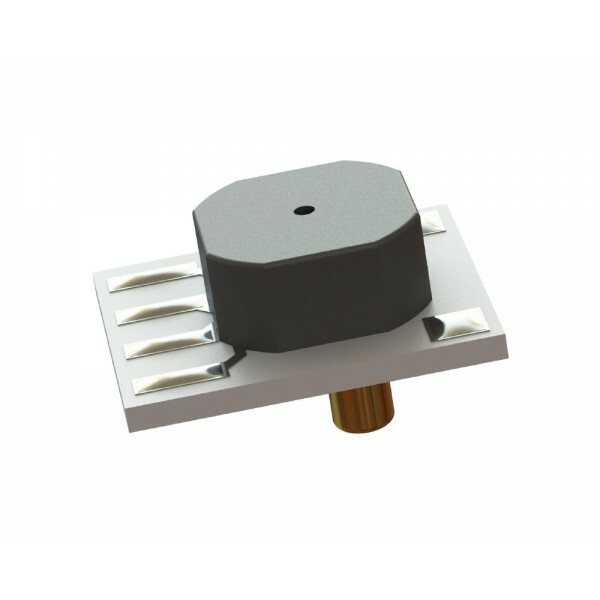 The RS series from Merit SensorTM is a flexible platform with excellent media compatibility and utilises a piezoresistive Wheatstone bridge with a chemically etched silicon diaphragm. 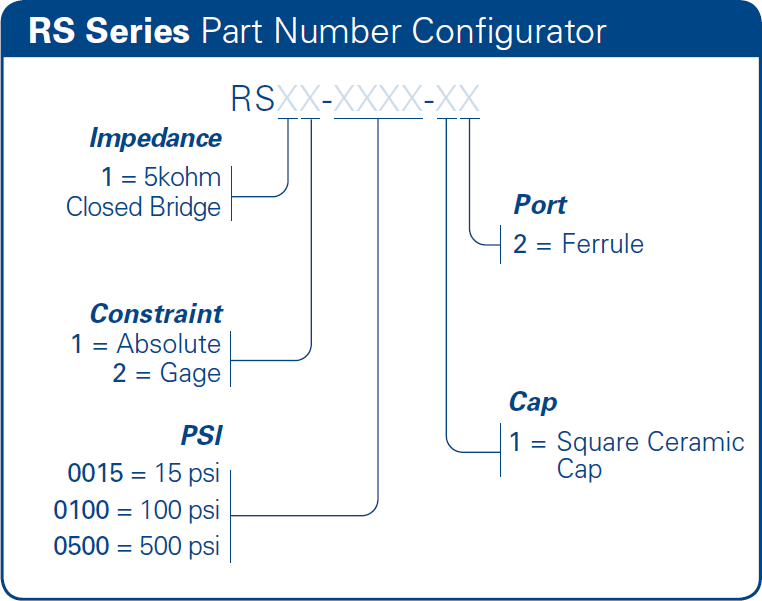 The RPD uncompensated packaged pressure sensor series from Merit SensorTM is designed for applications which require a wide range of pressures to the backside of the sensing element. 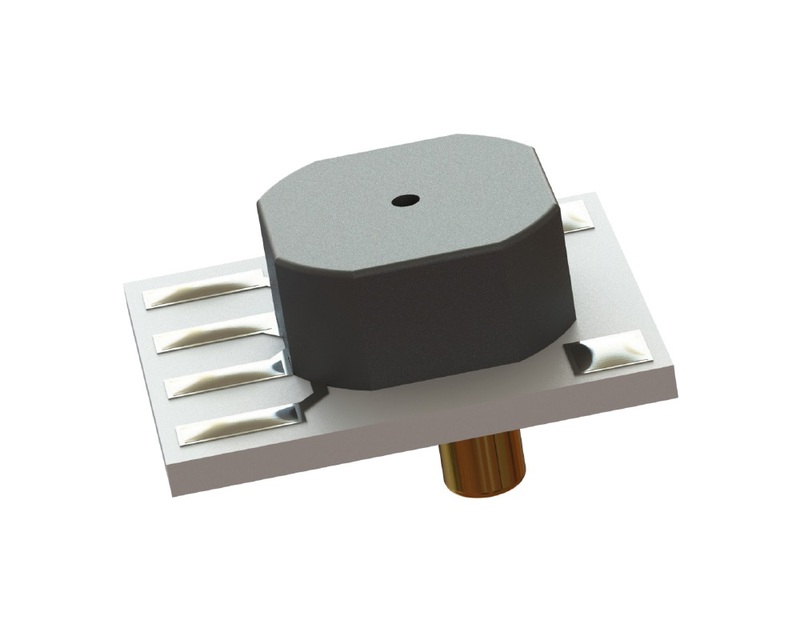 This pressure sensor series offers a pressure range from 0psi to 500psi with an operating temperature range of −40°C to +85°C and a typical average full scale output of 150 mV. The RPD series from Merit SensorTM is a flexible platform with excellent media comp.. The MS surface mountable low to medium pressure sensor series from Merit SensorTM is a surface-mountable pressure monitoring device suitable for low to medium pressure applications. 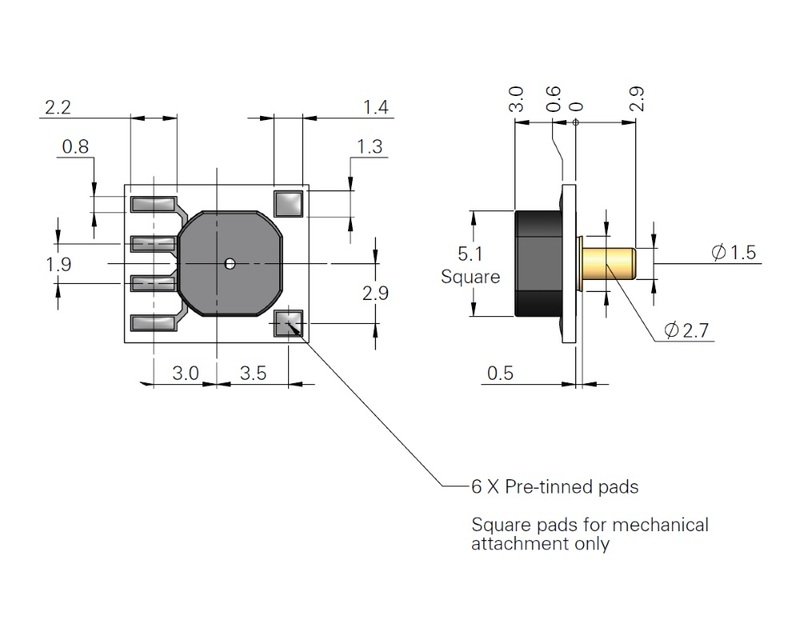 This pressure sensor series offers a pressure range from 15psi to 500psi with an operating temperature of −40°C to +85°C and a full scale output range from 75mV to 175mv (depending on the pressure range). The MS series from Merit SensorTM products incorporate a.. The PMD through-hole low to medium pressure monitoring sensor series from Merit SensorTM offers a pressure range from 5psi to 50psi with an operating temperature of −40°C to +85°C and a full scale output range from 133mV to 160mv (depending on the pressure range). 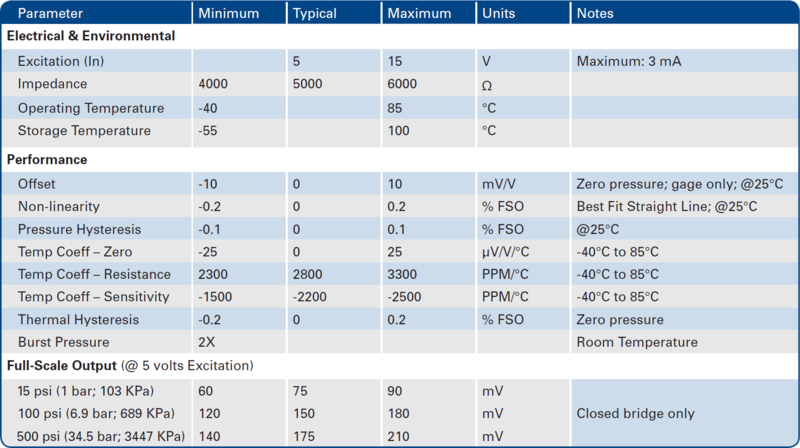 The PMD series from Merit SensorTM products incorporate a proprietary Sentium® technology, developed to provide a best-in-class operating temperature range, superior stability and is ..